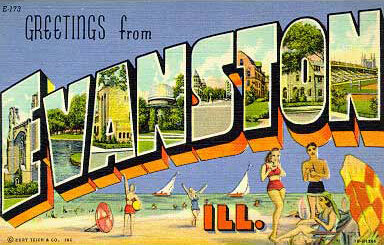 Recent food and film winners – Greetings from Evanston, Ill.
2. The smoked paprika casarecce at Sfoglina in Van Ness. The menu describes it as “lobster, octopus, Amalfi style,” and no dish since our Amalfi honeymoon has taken us back there so dramatically. That pasta beat the other two we tasted, but barely. The restaurant is beautiful (“The restaurant is a girl,” says the owner, Maria), and we left feeling every dish on the menu is probably delicious. 3. Paterson with friend Darren at E Street Cinema. A great movie about poetry! Of all things. Not only is the movie about poetry, but it feels like poetry, slowing you down and finding moments to be weird while keeping your focus. It’s also a celebration of the most fascinating kind of poetic life to me — the poet who has a day job. Bus driving, in this case. Poetry magazine has a good audio interview with Ron Padgett, whose Alone and Not Alone I really liked last year, and who was the poetry consultant and wrote all the poems for the movie. 4. It’s a Wonderful Life at the Miracle Theater on Barracks Row, the night before the night before Christmas. The town had emptied out, and the theater was only a quarter full or less. Everyone laughed. Everyone got quiet. The movie held up in glorious fashion. Lori had a bad cold, and we still had a great time. Pingback: A little more about 'Paterson' - Greetings from Evanston, Ill.